March Madness – Eggsellent reading for Easter… | Damian Trasler's Secret Blog - Do Not Read! ← Videogame violence – An unscientific analysis. 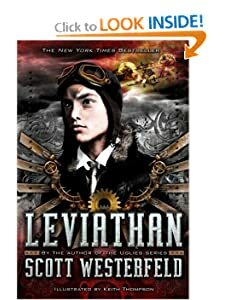 I’ve seen the trilogy of Steampunk/Althistory books by Scott Westerfeld many times, but only managed to get hold of the first this month. 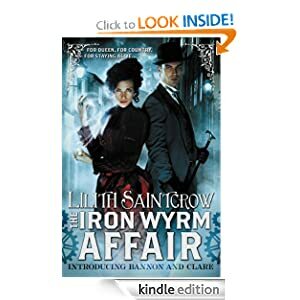 It’s a roaringly good read, and a good take on the steampunk genre, with some genuinely new ideas, a good solid real-world feel and the labyrinthine politics of the eve of the First World War. 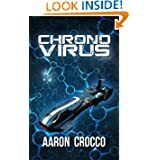 Aaron Crocco is a writer I have met through G+, where he spends far more time promoting other author’s works than he does his own. 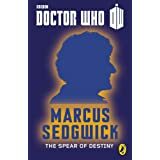 This gem of a sci-fi tale was on offer during the week of his birthday, but it’s worth the price ANY day of the week. I’m hoping there are more stories for him to tell in the universe he’s got here. 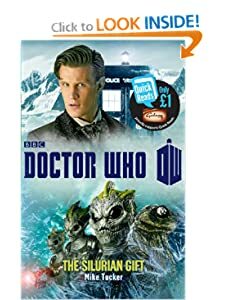 As you may already know, Eldest Weasel is a Doctor Who fanatic, and since she shares my Kindle account (as does the entire family) we have slightly more Doctor Who books than the average for a Canadian family. I read this one when I was stuck for entertainment (which is why I have a kindle, after all…) I wasn’t disappointed, and it’s increased the chances of her getting more books in this series. 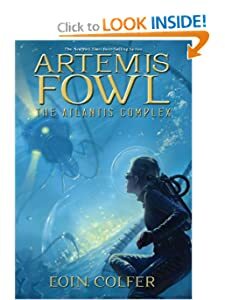 Whether it’s true or not, I remember reading about the first Artemis Fowl adventure in the same newspaper article that mentioned the release of a book about a young boy called Harry Potter. Artemis hasn’t taken the world by storm in the same way, and I really feel the series lost its way after the fourth book, but this one was something of a return to form. It was promising enough to make me consider finding “The Last Guardian”, supposedly the final book. It wasn’t enough for me to forgive Eoin Colfer for writing a Hitchhiker’s Guide book. The stories are still enjoyable, by the way. It’s been a good month for Steampunk. This story has more than a little magical element, but retains the Victoriana and Anglocentrism that seems to be de rigeur. 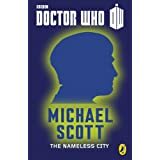 I enjoyed it more than I thought I would, and may well go looking for the sequel, if only to find out more of the central character’s back story. Given my review of “The Silurian Gift” earlier, you can guess how these two turned up. I was never a fan of the first three doctors, only beginning to watch with the fourth (The “Proper” Doctor, obviously) but recent access through Netflix has allowed me to revisit old episodes and I thought these two stories did justice to the earlier incarnations of the Doctor, as well as showcasing some old favourite companions too. 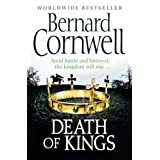 I usually hate picking up a book in the middle of an established series, but I’ve read plenty of Bernard Cornwell’s books (I even met him once) and there’s a kind of rhythm to them. 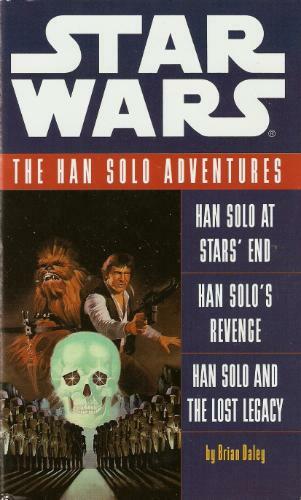 I wondered, as I read this one (Book six of a series) whether I’d read any of the earlier ones. It recounts the perilous state of England as King Alfred the Great lies dying. I used to live in Winchester, where Alfred had his capital and his statue still stands. Having lived in Canada for four years, it was nice to wallow in English history for a while and remember that I had seen many of the places that the book’s hero visits. And sets fire to. Short stories again, see? 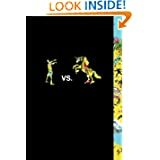 This collection felt a little more hit and miss that the Zombies Vs Unicorns, something I found with the other collection from Charlaine Harris and Co (An Apple for the Creature, reviewed in January). 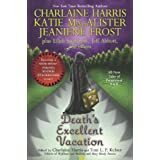 But if you’re a Sookie Stackhouse fan, you’ll read it for this story at least. I like the Haunted Pirate Dave story, personally. Please feel free to argue with me about my reviews, or to recommend other books for me to try next month. Pingback: The April Bookshelf | Damian Trasler's Secret Blog - Do Not Read!